UNITED NATIONS, Feb 14 (IPS) - While the impacts of displacement on wellbeing are well-known, one group has pointed to the equally burdensome economic costs for those displaced as well as host communities. "We have long understood the devastating impact internal displacement can have on the safety and wellbeing of people affected by conflict, violence, disasters and development projects," said IDMC's Director Alexandra Bilak. "But internal displacement also places a heavy burden on the economy, by limiting people's ability to work and generating specific needs that must be paid for by those affected, their hosts, governments or aid providers," she added. CAR has seen decades of instability and violence, and its most recently conflict has resulted in an ongoing, dire humanitarian crisis and the displacement of over 1 million people, more than half of whom have stayed within the country's borders. According to the United Nations Children's Fund (UNICEF), one in four children is either displaced or a refugee. IDMC calculated that the economic impacts of internal displacement in the central African country between 2013 and 2017 total 950 million dollars. This represents 230 million dollars annually, equivalent to 11 percent of the country's pre-crisis gross domestic product (GDP). 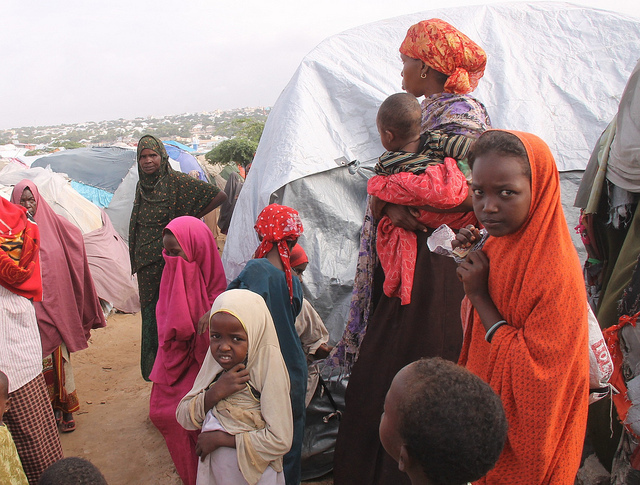 In Somalia, drought alone cost the country 500 million dollars annually between 2017 and 2018, representing almost five percent of the country's pre-crisis GDP. The country-wide drought lead to 892,000 new displacements in the country in 2017. "This new research clearly shows the risk internal displacement represents, not only for human rights and security but also for national development," said Bilak. "More data and analysis are needed to further identify where the financial losses are greatest and help governments and aid providers prevent future displacement, as well as respond more efficiently to existing crises," Bilak concluded.